THE TORONTO TRADITIONAL MASS SOCIETY - UNA VOCE TORONTO - since 2004 has been a Chapter of the VTMS in Vancouver -- a Member of Foederatio Internationalis Una Voce--FIUV. We are a lay movement of Catholics dedicated to the development of the Extraordinary Form of the Roman Rite in the Archdiocese of Toronto and its suffragan dioceses for the restoration of Catholic piety and culture. A Sung Latin Mass will be held at 9:00AM at St. Mary's (Polish) Roman Catholic Church. Holy Family at 8:30 A.M.
St. Lawrence the Martyr at 10:00 A.M.
Transfiguration (SSPX) at 8:00 A.M.
To advocate for the celebration of the Extraordinary Form of the Roman Rite. 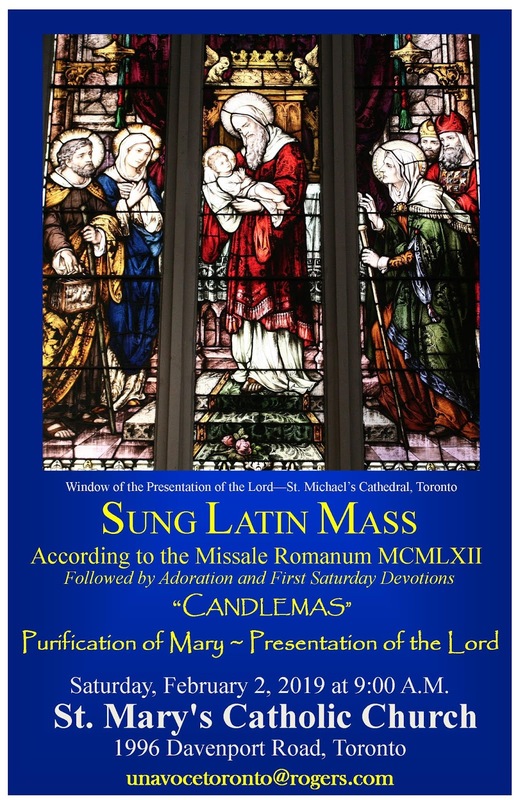 To promote the celebration of the Extraordinary Form of the Roman Rite throughout the Archdiocese of Toronto. To encourage every priest in the Archdiocese of Toronto to celebrate the Extraordinary Form of the Roman Rite in their parishes. To advocate for a “personal parish” under the provisions of the motu proprio Summorum Pontificum for the exclusive use of the Extraordinary Form of the Roman Rite. To contribute to the maintenance and development of the liturgy through the Extraordinary Form of the Roman Rite in the Archdiocese of Toronto and its suffragan dioceses through positive and concrete initiatives including prayer, education and promotion and contribute to a restoration of Catholic culture and tradition. 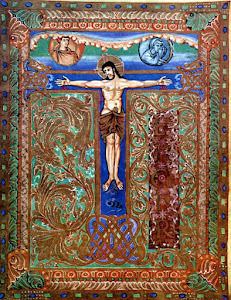 To serve the Church by helping the members of Una Voce Toronto and, through their apostolate, all the Christifideles better to understand, and more fruitfully to participate in, the Catholic liturgy as a sacred action in the Extraordinary Form of the Roman Rite. Sung Low Mass? Your questions answered. The Subdeacon - there is no "Straw"
2011 Una Voce Toronto. Picture Window theme. Powered by Blogger.